The latest research from Smithers Pira identifies five key trends underpinning the shifting dynamics of demand and profitability in the market for printed signage: increasing automation, soft signage, the changing retail landscape, the evolution of Asian retail, and competition from digital signage. What were the big trends in wide-format and specialty printing in 2018? It’s been a year of convergence and while shops that were likely to transition to wide-format have largely done so, the applications that can be produced are constantly changing, as new materials and new inks hit the market. Let’s have a look at what’s been happening. The landmark 2015 Supreme Court case Reed v. Town of Gilbert turned a sign code issue into a First Amendment battle. Three years later, its effects are still being felt throughout the signage industry—for good or ill. Read on for some of the latest developments in signage regulations. When print service providers seek to expand their offerings, wide-format printing applications like sign, display, and specialty graphics are often considered an attractive opportunity. This article cites recent research from Keypoint Intelligence–InfoTrends to explore the benefits that wide format can deliver to print service providers that are hoping to enter new markets and achieve higher margins. Environmental or experiential graphics are a growing trend in signage, with sign shops using the latest display graphics technologies and substrates to transform office spaces. As a result, sign and display graphics providers are working more closely with interior designers and architecture firms. Case in point: Signs By Tomorrow’s interior graphics for the American Diabetes Association’s new headquarters. 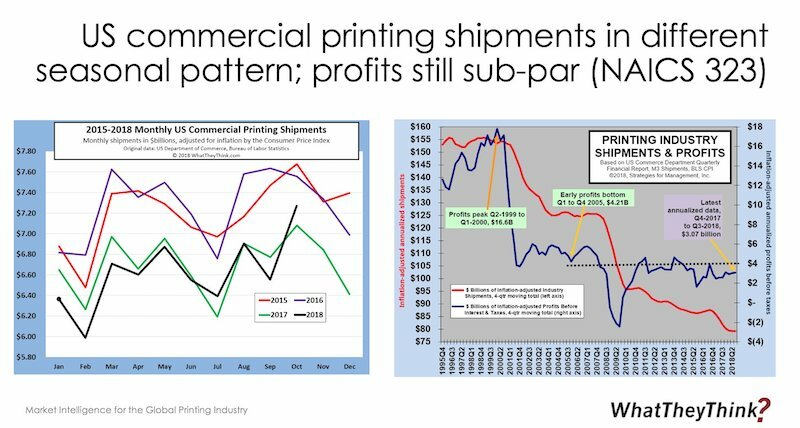 We have a new report out, the Printing Forecast 2018, based in large part on the results of our Fall 2017 Business Conditions Outlook survey. There is quite a lot in the 172-page report, but here are some highlights specific to wide-format printing. At yesterday’s Canon One event in Boca Raton, Canon Solutions America officially launched the Colorado 1640, the first model in the company’s new line of roll-to-roll wide-format printers based on the revolutionary new UVgel ink technology. For many people, color management is like the weather. Everyone talks about it, but no one ever does anything about it. But new machines with new ink sets are turning what was always a tricky issue into an even trickier one. As interest in industrial printing gains momentum, the inaugural InPrint USA Industrial Print Show will take place in Orlando in April. We spoke with SGIA President and CEO Ford Bowers about industrial printing in general and the upcoming show in particular. The next big communication disruption is upon us. There are many ways print businesses should respond, but focusing on specialty items is one way. This article cites IPMA and WhatTheyThink research to explore opportunities in-plants and commercial printing establishments are seeing in 2017. Last week’s EFI Connect in Las Vegas saw some new product rollouts, status reports on recent product introductions, and an alternately lighthearted and frightening look at artificial intelligence. As we plunge headlong into 2017, let’s kick off the year, as we traditionally do, with a look at the current roll-to-roll printer landscape. Next week, we’ll look at flatbed printers. Wide-Format and Specialty Graphics - What's Next in 2017? Last week, we took a wide-format look back at 2016. What lies ahead for wide-format and specialty graphics printing in 2017? 2016 is almost over! Whew! So, what were the top growth areas for wide-format? What applications are ascendant? What technologies have emerged and evolved? Advice abounds for using social and other electronic media for marketing, but don’t ignore some “old school” offline marketing strategies. What wide-format and specialty printing products will be in demand in 2017? Sure, one could say “all of them,” but here are three particular areas to pay special attention to in the new year. A recent state of the in-plant industry report finds that in-plant printing departments are well-poised to expand their wide-format and specialty printing options—not just for their parent organizations, but for outside customers, as well. A collection of new products and product previews that were seen on the show floor at last month’s SGIA Expo. What happened at this year’s SGIA Expo may have happened in Vegas, but it’s not staying in Vegas. Our report from Day One of the show. Automation and Wide-Format: Where Are We? Whether it’s only a select few tasks or an entire production workflow, automation is slowly but surely coming to wide-format printing. How is that possible? The Printing Industries Alliance hosted an all-day drupa recap at Manhattan’s Club 101. Among the day’s presentations and panel discussions was an extensive conversation about the current state of wide-format graphics and opportunities in the market for commercial printers. In the latest installment of our occasional Wide-Format 101 series, we offer a general overview of wall, floor, and window graphics. Sign Expo 2016 comes to Orlando, with four days of educational sessions, keynotes, and a packed exhibition hall. As an added bonus, both Roland’s ImagiNATION 2016 and Durst’s Retail 2020 are colocated with this year’s Sign Expo. It’s not so much Hotlanta as Humidlanta, and although the SGIA Expo officially opens on Wednesday, Tuesday saw a full slate of programs that ran the gamut from the highly technical (the Printed Electronics Symposium), to the specialized (the vehicle wrapping hands-on workshop), to the very basic (Wide-Format 101). St. Louis’ Triflare specializes in racewear for triathlon participants, swimmers, and other athletes—all produced digitally using dye-sublimation printing. In 1981, L.A. photographer Steve Reisch captured legendary director John Cassavetes and his stock company backstage as they rehearsed and performed an experimental series of plays. Unseen for 34 years, the images have been brought back to life thanks to a partnership between Reisch and Canon USA. If it jets ink, it’s a hot technology, and while production inkjet got the bulk of the buzz at last week’s Graph Expo, wide-format and specialty printing continue to play a much larger role. InfoTrends enumerates the keys to success in wide-format printing, from developing a strategy, to choosing equipment, to picking partnerships, to effectively training the sales staff. As wide-format and specialty graphics play a larger role in the industry, they are also playing a larger role at general commercial printing shows like Graph Expo. Here is a preview of some things to look for at this year’s show. “Our aim is to become a company that is truly indispensable to our customers,” said Minoru Usui, Global President of Seiko Epson, kicking off “Experience Epson,” a day of interactive demos of a cross-section of Epson technologies, from wide-format printing, to interactive whiteboards, to golf swing analyzers, to Augmented Reality-based headsets, to…well, you name it. The event was held last week in New York City. From wood, to glass, to textiles, to animal pelts—and even to paper—ARB Digital takes on challenging projects, thanks to founder Alvaro Rodriguez’s background in tech support, color management, and software development. 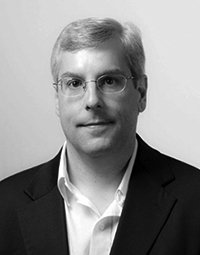 SGIA’s Dan Marx shares some of his organization’s most recent research on industrial printing. What technologies are companies in the industrial printing space using? What products and technologies have they been investing in? Where do they see the most (and least) growth opportunities? What is their business outlook? New applications for outdoor graphics are appearing all the time, and new printing technologies are revitalizing some older applications. Some considerations if you are looking at outdoor graphics, and a look at one South Florida shop that has carved out a niche in the great outdoors. OK, so you’ve invested in wide-format printing capabilities, the equipment is up and running, the staff is trained, and you’re ready to RIP. How do you get work to run on that equipment? Printing is easy; it’s all the other stuff that can pose challenges. Producing wide-format output can require a different approach to traditional processes, from selling, to finishing, to transporting. What do you need to know before you take the plunge? New features, sessions, programs, and speakers at the upcoming International Sign Expo aim to educate present and prospective signmakers about the latest business and technology trends in this growing industry. Improving technology is causing some wide-format applications to experience that dreaded word “commoditization.” How can print providers fight against it? Can they? Or—most importantly—should they? Capacity management has proven to be a challenge for many wide-format print businesses, especially as many jobs are specialized or customized in some way. What are the ways that shops are coping with this “pain point”? Technical printing—graphics that serve the architectural, engineering, and construction markets—has been changing in both positive and negative ways, and “reprographics” shops are changing with the times. And it’s not always just about the equipment. About 15 years ago—give or take—in a monthly humor column I wrote at the time for the late, lamented Micro Publishing News, I proposed the idea of a drive-through wide-format printer for vehicle graphics. Build your business in 2015 by exploring new opportunities, developing a clear vision for success, and stretching the boundaries of what your shop and your shop’s equipment can produce. As I was planning the 2015 editorial calendar for our Wide-Format section, I began by drawing up a list of topics that I had covered, topics that were heavily featured at trade shows like SGIA and ISA, and topics tend to get covered elsewhere in the industry press. And aside from the basic technological topics like “Roll-to-Roll Printers,” “Flatbeds,” “Finishing,” and so forth, the majority of the subject matter was on specific applications—and applications that were all over the map (and some even included maps!). Web-to-print is not a new technology, but despite its many advantages, when evaluating solutions, be sure to ask some specific wide-format questions. New year’s resolutions are ephemeral things. January 2, for example, is a kind of Black Friday for gyms and fitness centers, but by the end of the month, the crowds have returned to normal. In today’s wide-format market, flatbed printers are all the rage and, for certain applications, deservedly so. But the earliest wide-format printers were all rollfed (or roll-to-roll) devices, and it wasn’t until the early 2000s that flatbeds existed as a product category. Flatbeds emerged to take time and materials out of the “print-then-mount” process; after all, why not just print directly on the surface you want the graphic? 2014 has been a year of incremental—but substantial—improvements in wide-format systems. These improvements are creating ever more opportunities in a variety of applications. Here’s what to keep an eye on in 2015. Versioning, the use and integration of digital displays, eye-tracking, point-of-purchase displays, mobile technologies, and payment software, “virtualization”—where a company offers a particular printing service but outsources the actual production, and printing as a service are quickly becoming the status quo in the wide-format printing business. Dynamic digital signage (DDS) is being touted as a hot opportunity for sign shops and other wide-format service providers. But where does one start? And how can digital complement print signage? In Part II of this feature, we examine some of the trends engendered by digital printing, and how they apply to wide-format printing—and how they are changing. The first-generation Memjet-based devices have hit the market, and have helped wide-format inkjet conquer the speed challenge. What will second-gen Memjet look like? Creating a printing business that can cope with a changing market for print and that is “future-focused”—is imperative as we hurtle toward 2020. If you’re a wide-format printer, you may be halfway there—but that’s no excuse for complacency. Wide-format printing has always been an endeavor for the highly creative, and it would be hard to find someone more creative than Armstrong. The information included in this article is a short summary of the data presented in SGIA’s soon-to-be-released 2013 Market Trends & Product Specialties Benchmarking Report. The data presented is culled from the responses of 136 U.S. sign and graphics producers, and provides an excellent snapshot of the graphics and sign segment today. A full report will be available on SGIA.org later this year. Stakeholders in the sign and display market can look back on the past 18 months and note solid growth attributed to the steady and measured ascent of digital printing. Globally, we witnessed the continued adoption and embrace of digital as innovative new technologies helped print providers convert analog pages to generate new business and increase opportunities with existing clients. The wide format inkjet market is growing rapidly with expanding new products and applications. The equipment cost is relatively modest when compared to offset presses and bindery equipment. What do I need to consider before I jump on board? FESPA is the Federation of European Screen Print Associations. It started as an annual exhibition by Display Graphics, Textile, and Specialist Screen Print suppliers of products for their customers and over time came to include inkjet wide-format print offerings by their various vendors. I’m currently in my 22nd year serving the specialty graphics industry. During my time with SGIA, I’ve been witness to the complete changeover in imaging equipment technology. A walk down the street, a drive on the highway, or a trip on mass transit today provides ample opportunities to experience one of the hottest specialty graphics growth areas: vehicle graphics. From personal vehicles with custom graphics, to commercial vans and tractor-trailers, to buses, rail cars, and even planes, fleets of all kinds are becoming more picture-esque than ever. Since the advent of the wide-format printing market in the late 1980s/early 1990s, the vast majority of the output devices on the market have been rollfed devices, printing on flexible substrates like paper or canvas that unfurled into the device, rather like a web press. The finished graphic was then often mounted onto a rigid material for display, installation, or other end use. This week, we’re going to take a step back from our look at the nuts and bolts of wide-format printing technology and look at the industry and the economy from “20,000 feet”—and hopefully not have a William Shatner-esque experience. Richard provides some features and issues to keep a special eye out for when looking at RIP's for wide-format printing. Those new to wide-format printing—and even some veterans—often give short shrift to what happens to a print once it comes off press. In wide-format printing, however, the real added value is often in the finishing. The past five years have seen an increased discussion of, and emphasis on, the idea of “sustainability.” Sustainability can refer to many things, but one of the oft-discussed components of it is environmental sustainability. That is, what is the impact of a product or process on the environment, and what are the ways of reducing that impact? Today, Epson launched its next generation, newly-branded 64” solvent printer – the SureColor S30670 is a four-color solvent printer (CMYK) using Epson UltraChrome GS2 ink. Read more. As printing companies move towards environmentally friendly processes and products they must sort through the misinformation in the marketplace. This article helps to educate the printer on what to look for in printing ink. In June 2011, InfoTrends completed its Who Buys Wide Format? study, which was designed to collect more information about the buyers of large format products. It fostered an understanding of wide format graphics buyer requirements while also tracking changes in buying patterns since the previous study from 2009. This article discusses key findings from that study and also provides real-world examples of retailers that are interacting with consumers at the point of purchase. Thanks to the internet and smart phones, as well as tools like QR codes and text messaging, one of the oldest ad media is becoming interactive. In her current article, Barb Pellow explores the interactive features that many companies are using to enhance their billboards and outdoor signage. She provides many real world examples that range from educational to purely promotional. Based on our experiences at IPEX 2010, it’s finally looking like the mood of the industry has changed and we might be entering a period of economic growth. The event showcased developments in a variety of areas, but the greatest interest seemed to be in the rise on inkjet printing. Andy Tribute offers his thoughts. IPEX is many things – a celebration of print, a Euro-centric gathering of major and minor vendors, a walkable show that makes it easy to enjoy the variety of offerings that compose our industry – but it’s certainly no drupa. This year is being seen as the real start for sales of high-speed inkjet presses. This article looks at some of the key items that need to be considered by potential buyers of these presses. This includes substrates that can used, the types of ink and the life of the print heads. We may call this “the week that was” when looking back at the stories for 2009 in our year-end review! The Monday news opened a few eyes over morning coffee. While the Canon acquisition of Océ grabbed the day’s headlines; the second story – Agfa’s acquisiton of Gandinnovations – was just as interesting. I have just attended the IMI European Ink Jet Printing conference in Barcelona. One tends to think that inkjet printing is something new but this was the 17th annual conference on this subject. One tends to forget just how long the inkjet technology has been around and also just how long it has been used in the graphic arts markets. "Unscientific" has to be the word for our selection of exhibitors to write about in the aftermath of Print 09. Some are on the follow-up list because of pre-booked editorial appointments; others because of what we heard at media briefings during the show; and, in a couple of cases, because we were buttonholed by pouncing p.r. people as we moved past the booths, never intending to stop. But, at a show like Print 09, any reason for spending time with a vendor usually turns out to be a good one in terms of knowledge gained. Is this the Inkjet drupa? Do We Really Need Graphic Communications Education? Richard has written about communication, graphics hardware and software trends for the past 15 years.